TIFF 43 &ldquo;People's Choice&rdquo; winner Green Book stars Viggo Mortensen and Mahershala Ali. Here's a rundown of some of the best films and best moments from the 43rd annual Toronto International Film Festival. By now you might have heard that Peter Farrelly’s Green Book was named the “Grolsch People’s Choice Award” winner at yesterday’s closing ceremony for the 43rd annual Toronto International Film Festival. What you might not know is how the prize probably sets up the extremely entertaining pairing of Viggo Mortensen, as a kind of Copa bouncer-turned driver, and Mahershala Ali, as a brilliant but eccentric musician, for end-of- year award possibilities. I mean, nine of the last 10 “People’s” choices have gone on to earn Best Picture Oscar nominations, including Academy Award winners Slumdog Millionaire, The King’s Speech and 12 Years a Slave. Those latter two entries also won acting Oscars for at least one of its principles, as did TIFF-winning Precious, Silver Linings Playbook, Room, La La Land and last year’s “People’s” winner, Three Billboards Outside Ebbing, Missouri, which brought home Best Actress and Best Supporting Actor victories. 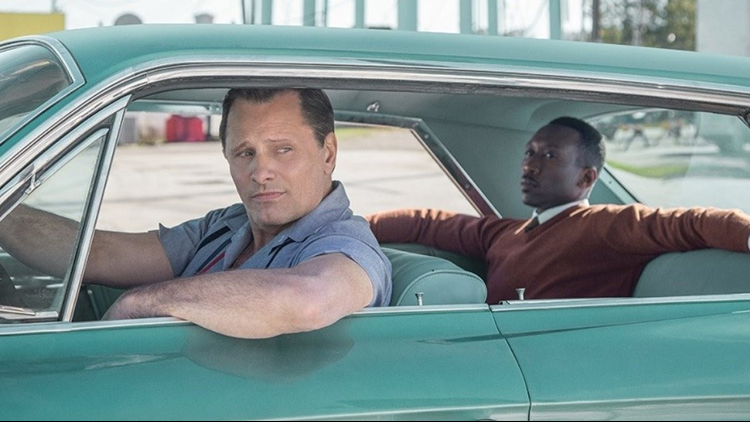 Favorite films: The people got it right again with Green Book, whether you call it “The Sopranos Meets Driving Miss Daisy” or appreciate its sad but true tale of racism in the early ‘60s, it says here that it will go down as the “Hidden Figures” of 2018. A Star is Born is another one that will grab you from the get-go, as first-time director and co-writer Bradley Cooper keeps the best of the 1954 and 1976 versions to fashion a crowd-pleaser for today. Very good ones to see: Destroyer (with Nicole Kidman as a tortured and relentless cop); Free Solo (“The People’s Choice” for Best Documentary keeps you almost breathless watching Alex Honnold climb mountains alone, without ropes); The Sister Brothers (a funny and violent western with a heart, sort of); Widows (Steve McQueen’s first film since “12 Years a Slave” soars with a remarkable cast in a terrific crime caper). A couple whose length got in the way: Alfonso Cuaron’s sleepy Roma, and Damien Chazelle’s technically grand, but emotionally lacking First Man. Wish I’d seen ‘em: “People’s Choice” runner-up If Beale Street Could Talk (from “Moonlight” director Barry Jenkins), and doc runner-up The Biggest Little Farm, which everyone seemed to be raving about. Sorry I did: The Front Runner. Didn’t we see enough of politician Gary Hart 35 years ago? Besides, its first half never shuts up, and the second half rarely says anything. Best Party: The Blue Ice Pictures event at a sensationally swanky restaurant called Copetin, whose chef apparently is a judge on “Master Chef Canada.” Certainly the food was to die for; then there was a vodka called Beattie’s (from a little potato farm in Alliston, Ontario) that recently won the 2018 World Beverage Competition. Very smooth! A typically TIFF tale: When Festival Director and CEO Piers Handling, who is stepping down after 25 years, introduced director and screenwriter Olivier Assayas before the start of his Non-Fiction last week, the French helmer never even discussed his film, a literate comedy about book publishing in the digital age. Assayas was right on both counts: Handling’s leadership has been essential to the growth of TIFF into its world-class standing, and audience response – to every film shown -- is nothing short of phenomenal, not for just one weekend, but for an entire 10-day run every September. Their enthusiasm must be seen to be believed. And, of course, so does the quality of their films. Information on any and all of them remains available at www.tiff.net. Otherwise, that’s a wrap from TIFF 43!